Hollywood Scribe is the online home of veteran Hollywood entertainment journalist Michael Goldman. Explore this site to learn about Michael, his work as a book, magazine, and newspaper author/editor, and multimedia interviewer, as well as the writing/editing/podcasting/consulting services he offers entertainment and media publications, Web sites, and companies. entertainment for both consumer-oriented and technical-oriented print, online, and other media. After graduating from Brandeis University, Michael launched his career in radio and, back in the day, hosted a sports talk show in the Riverside, California, market before transitioning into print, and later, online journalism. He has been a sports writer, sports editor, news editor, entertainment editor, and editor for a wide range of publications, including the leading Hollywood trade publication, Daily Variety, and the award-winning film journal, Millimeter, for which Michael served as Senior Editor for 12 years, interviewing most of the world’s leading filmmakers. Currently, Michael is a contributing writer to another acclaimed film journal–American Cinematographer magazine and several other publications and Web sites. Michael’s podcast interviews with leading filmmakers can be found across the Internet, including a monthly podcast series called “Podcasts from the Front Lines” on the Studio Daily Website, and he also authors the monthly SMPTE Newswatch newsletter. Over the years, he has also penned articles for The Los Angeles Times, Boston Globe, Philadelphia Inquirer, Orange County Register, Emmy magazine, CineMontage, DGA Quarterly, Animation magazine, Cinescape, Film & Video Magazine, Filmmaker magazine, and several others. 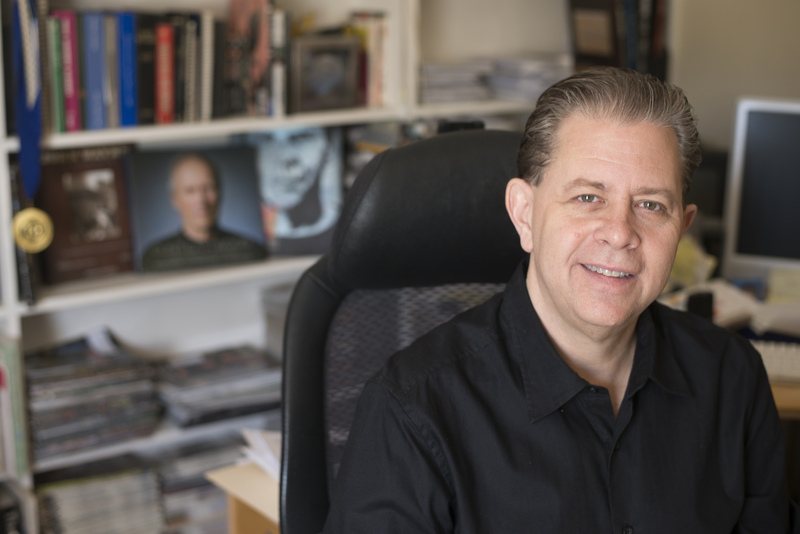 Michael has also authored six books about major media-related topics, legends, and institutions (with two more on the way), and most recently, co-authored a major textbook for first-year filmmaking students called Filmmaking in Action, from publisher Bedford/St. Martin’s, which debuted in Fall of 2015 as the definitive introductory college textbook on contemporary filmmaking. His last coffee-table book, 2013’s John Wayne: The Genuine Article, from Insight Editions, was a New York Times Bestseller (#17, Hardcover, Non-Fiction in June of 2013), and has won three publishing industry awards including tying for top honors and earning the prestigious Will Rogers Gold Medallion in the biography category for excellence in Western Literature. The book was an authorized and unprecedented look inside the John Wayne archive at the legendary star’s personal letters, manuscripts, and private materials–the most personal and intimate look at the legendary star’s life, told from his point of view, ever documented. It comes on the heels of his previous acclaimed coffee-table book, Clint Eastwood: Master Filmmaker at Work, from Abrams Books. That authorized book, detailing the filmmaking techniques of legendary director Clint Eastwood from inside Eastwood’s filmmaking circle, remains on sale and has been hailed in several reviews as the single most definitive look at Eastwood’s filmmaking methods and experiences ever published. Likewise, all of Michael’s previous books have been associated with major entertainment brands or individuals. They include the behind-scenes movie book for the 1995 film, Mortal Kombat; fan books for two major television shows—24: The Ultimate Guide (Michael also edited another book about 24 called 24: Behind the Scenes), and Heroes Revealed; and a coffee-table book called Reality Ends Here: 80 Years of USC Cinematic Arts—a history of the world’s oldest and most famous film school. In the summer of 2019, Michael’s next book will be published–The Art & Making of the Lion King, from Disney Editions; and in 2020, also from Disney Editions, his follow-up movie book, The Making of Disney’s The Jungle Cruise, will debut. Michael lives in Los Angeles with his wife Bari, where he spends his spare time trying to catch up to their two sons, Jake and Nathan. "Clint Eastwood: Master Filmmaker at Work"
"John Wayne: The Genuine Article"